Parents are supposed to influence their children in terms of values, morals, etc. "a long time ago in a galaxy far, far away". Robert A. Evans, Ph.D. and J. Michael Bone, Ph.D.
Dr. Evans’ practice provides Forensic Psychological services in regard to high conflict custody cases throughout the United States. He has testified in over 14 states and over 24 counties in Florida. He has conducted several hundred-child custody evaluations, is an expert witness in Custody trials. He also has experience as a parenting coordinator, Guardian ad Litem, family mediator, and is trained in Collaborative Law Practice. Dr. Evans has co-authored the book The Essentials of Parental Alienation Syndrome. Dr. Evans specializes in high conflict cases many times involving Parental Alienation. In his work with alienation cases, he has consulted with Dr. Richard Gardner. He has also taken specialized training from Dr. Gardner in child custody evaluations and Parental Alienation. In the past Dr. Evans has served as a consultant to the medical, legal and law enforcement communities in Florida on a variety of psychological and educational matter. He provided critical incident stress debriefing to victims of crime in the Central Florida area and consulted with Orange County Public Defender on cases involving the arrest and incarceration of children. He consulted with the Maitland Florida Police Department, the Orange County Sheriff’s Office and a number of businesses in Central Florida in the area of Prevention of Workplace Violence. In fact he presented workshops on the Prevention of Workplace Violence throughout the United States for the U.S. Postal Service. Dr. Evans is an approved sponsor of continuing education for psychologists by the American Psychological Association and has been approved by over 11 legal bar associations in the U.S. to provide Continuing Legal Education to attorneys in the area of Parental Alienation, Reviewing and Critiquing Child Custody Evaluations and other topics. Included among his credentials is over thirty years in the practice of applied psychology and the behavioral sciences, licensed as a School Psychologist by the Florida Dept. of Health, Division of Medical Quality Assurance; he was a Certified Clinical Mental Health Counselor and a National Certified Counselor, by the National Board of Certified Counselors; Trained in Comprehensive Child Custody Evaluations; Trained in Forensic Examinations; Forensic Evaluations and Juvenile Justice, Guardianship Evaluations; Assessing Violence Risk in Juveniles; Advanced Child Custody Evaluations; and Trained in Interdisciplinary Collaborative Law. It is Dr. Evans’ belief that the time has come to help children and families participating in the judicial system by helping professionals fully understand Parental Alienation and how to litigate it and support families so this form of child abuse can be abated. Dr. Evans know how vitally important is to educate professionals working with families of high conflict divorce. With that passion he co-founded the National Association of Parental Alienation Specialists (NAOPAS) with Dr. Bone and is dedicated to sharing his expertise as widely as possible. Based out of central Florida, the primary focus of Dr. Bone’s work in the last twenty or so years is that of high conflict custody disputes within the context of divorce where parental alienation appears to be present. Dr. Bone works with families who are in the process of divorce as well as post divorce families. He also works with parents, grandparents, lawyers and other professionals who may be involved in the case. Dr. Bone began his career as a mental health professional helping people of all genres in all areas of their lives and especially divorce. He found that most divorces move through normal court proceedings without much delay and divorcees are ready to move on and begin rebuilding their lives rather quickly without conflict. Then there are the “other” divorces. In fact, it has been shown that approximately 10% of divorces consume approximately 90% of Family Court resources. With this in mind, it is easy to see that these problematic divorces drag on through an endless progression of turmoil and confusion. In these cases, custody and visitation scheduling becomes a heated battlefield, often without resolution or compromise. In these cases, some divorcees become obsessed with their divorce and ex spouse and involve their children in unhealthy ways. In many of these high conflict cases, children became alienated from a parent for which there was no history of difficulty prior to the divorce. These cases are Parental Alienation cases. Dr. Bone worked directly with Richard Gardner, MD on multiple cases and did evaluative work directly with Dr. Gardner. 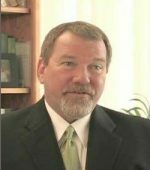 He was a member of the Scientific and Professional Advisory Board of the Parental Alienation Research Foundation in Washington D.C., and has served as Special Topics Editor of the American Journal of Family Therapy. He has performed Evaluations, and testified in court about Parental Alienation. He has trained both Mental Health Professionals and Attorneys on the subject. He has published peer reviewed articles, authored book chapters and is co-author of two books on Parental Alienation, and is a regular speaker on the subject all over the United States as well as in Spain and Italy. Dr. Bone has worked on hundreds of Parental Alienation cases in a consultative capacity and has found that alienation cases must be handled differently than divorces without parental alienation. He has developed replicable strategies to assist in conveying to the court the highly counter intuitive qualities that are found in parental alienation cases. He has also developed specific tools to aid in the assimilation of the voluminous detail that occupy these cases, and has assisted in coaching parents through litigation in concert with the attorney. Since it is well established that children fare best through divorce when they have an ongoing relationship with BOTH of their parents, Dr. Bone describes parental alienation as attacking this important premise, making it a form of Psychological Child Abuse. It is from this foundation of understanding and experience that he co-founded the National Association of Parental Alienation Specialists (NAOPAS) with Dr. Evans. Dr. Bone is committed to these cases being successfully litigated in Family Court and is eager to share his experience, insights and understandings.